I grew up with highly artistic family members. My sisters were drawing realistic dogs and cats- I mean REALISTIC, dogs and cats- before kindergarten. Around the age of ten, I mastered cute rows of flowers. It worked for me, it was the early 70’s, Flower Power was in. In high school, I managed an “A for effort” in art by making a train engine out of slabs of clay. It was engineered beautifully. It looked like it was painted by a second-grader. Good thing I got perfect scores on every math test, my mother wouldn’t have had a thing to put in the scrapbook with my sisters’ works of art. In college, my one semester of “Introduction to Design” was saved, again, by hard work and by (pre-internet) research to find ideas that my TA hadn’t seen and re-purpose them to fit the assignments. Several lives later, I needed a teaching certificate to help with art in a private grade school. I didn’t like the math for an undergraduate degree in education: 120 credits. A masters in art would only cost me 30 credits. As luck would have it, the art school based acceptance on students’ portfolios, not their undergraduate degrees. Quilt-making was still in the early stage of its resurgence, so my portfolio of quilts was a bit novel and I was accepted pending completion of introductory drawing and painting classes. I guess it wouldn’t be fair to give someone a master’s degree in art if they had never tried to draw a picture. So, hi, ho, hi, ho, it was off to drawing class. And, guess what? I was taught to draw in a single semester. Turns out, I can draw. In fact, I’m a photo realist. Well, I would be a photo realist if wanted to draw all the time. The fact that art can be taught was not the most important thing I learned in that drawing class. The professor taught us how to look at what we were drawing, and to see all the subtle aspects of what we were drawing. This is the most important thing I teach in quilting…how to think like a quilter. For quilt-makers, the foundation of thinking like a quilter is based in construction techniques. But, the rest of your quilting is based on the design. 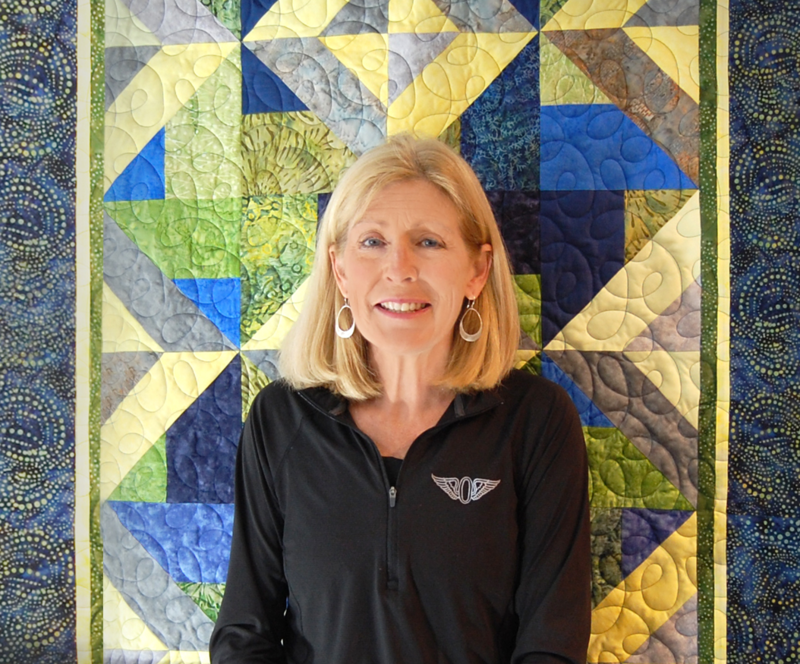 you can be taught design principles and how to use them in your quilting. My final note on this: I am a quilter, I make things. I’m not a big fan of “exercises” simply for the sake of learning. So, I doubt I’ll ever teach a typical “theory” class. Regardless of the lesson, my exercises have useful quilted outcomes. I hope yours do, too.